A major flaw in the Ring doorbell camera may have compromised the security of its customers. In a shocking report by The Information, a flaw in Rings software can allow for people who previously had access to stay logged in to a system even after the password has been changed in a shocking new Ring doorbell hack. Although it may only seem like a minor inconvenience; a small error in a security system can have major repercussions. Miami resident, Jesus Echezarreta, revealed that he was secretly being spied on by his ex-boyfriend through Ring, as reported by The Information. Although he had changed his login information, Echezarreta complained to Ring that something weird had been occurring. After reviewing his account, Ring was able to determine that someone had been continuously ringing and downloading video from his doorbell since August, when Echezarreta broke up with his boyfriend. Echezarreta was eventually able to determine who it was when his ex mentioned that he should walk his dog more. He confessed and apologized to Echezarreta and Ring sent him a new doorbell, assuming he still wants to use the product. This news is shocking for not only Ring but its parent company, Amazon, as well. 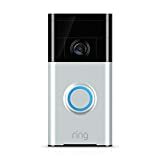 In February, Amazon purchased Ring for $1 billion and has big plans to use Ring to break into the home security market. 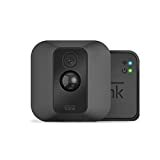 They have mentioned plans to integrate Ring into their Amazon Key service, which would allow for delivery people to enter a customer’s home. While this service has already been hotly contested, news of Ring’s doorbell camera being effortlessly accessed by unwanted individuals will not help ease customer’s hesitation. This information comes out just after the announcement of Ring’s Neighbors app that is setup to be a digital neighborhood watch. Ring responded to the concerns by assuring customers that the app was updated in January and would kick off unwanted users when the password is changed. Ring CEO, Jamie Siminoff, mentioned that it should take no more than one hour to kick someone off an account after the password change. It couldn’t happen immediately as that would slow down the app. The Information reporter who was covering the story was able to access his account through the app several hours after changing his password however. A security expert warned the reporter of the sever flaws in Ring’s system. No home security company should ever put a person in jeopardy of losing the security of their home. With how great technology has been for the further advancement of home security, it can also create major flaws. In this case, the Ring doorbell hack exposed a security company missing a major security protocol. If you are someone interested in home security or finding a better home security option, contact Protect America today for an obligation-free quote. A professionally monitored system, with an installation process that’s as easy as peal-and-stick, Protect America has been an industry leader for 25 years. Let the professionals ensure your security so you can ensure peace of mind.